The Picture Elements scientists and engineers specialize in creating document imaging solutions at the highest end of the image quality spectrum and in techniques for automatically analyzing the quality of document images. PEI also works in the highest speed corner of the market, having produced subsystems capable of 80 images per second (4800 images per minute). 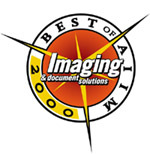 Our customers are typically scanner manufacturers and high-end systems integrators. The right way to take skew out of document images. 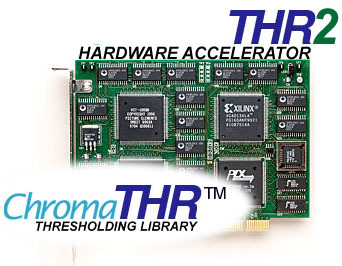 An open, lightweight run-time environment for high performance embedded software. Used on the ISE Board, licensed OEMs have a full source-code environment for product extension and customization. The Imaging Subsystem Engine (ISE) Board is a scanner interface and image processing board for Intelligent Grayscale Scanning. It is available to scanner manufacturers and integrators. It will use grayscale or color, even if you simply want to get the best possible binary image. With the ISE's grayscale, color and binary compression, production-speed scanning is possible, while even using grayscale deskew. Use ISE to get simultaneous gray and VST-1000 quality binary for No Re-Scan Scanning (tm), or to get multiple binary images for OCR Improvement. * tm Picture Elements, Inc.
New approaches by PEI and our Partners. The Fourth-Generation Thresholding Approach used in the VST-1000 chip makes the highest-quality binary images in the same way the human eye extracts information from a scene. It accurately places edge information and accurately preserves stroke widths. The VST-1000 precisely chisels the finest details, while capturing the fuzzy, broad characters of an airbill carbon copy. See our example and see the book Vision by David Marr for the theory of how human vision works. Edge thresholding gives better OCR results. Picture Elements is a trademark of Picture Elements, Inc.